During World War II, French citizens expressed that the German occupiers behaved more "correctly" than the American combat troops who replaced them. 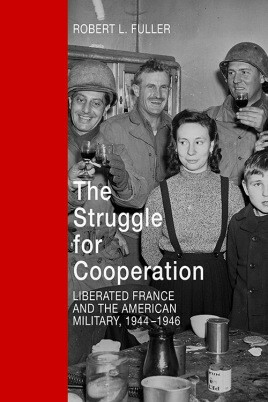 In The Struggle for Cooperation: Liberated France and the American Military, 1944--1946, author Robert L. Fuller presents a unique perspective on the relations between France and the United States during the Second World War. Until the summer of 1944, the German Army made real efforts to fare well with the French to make their occupation duties easier. The Americans also tried to get along with the French; however, American GIs were subjected to looser discipline than German soldiers. Most GIs behaved appropriately, but the small number who did not created an unfavorable impression among the French -- which created tension, mutual feelings of suspicion and dislike, and occasional displays of outright hostility. Yet, because the war against the Axis powers was also France's war, most French, especially officials, wanted to work cooperatively with the Americans to play their part in winning it. Fuller reveals how the French handled various issues that demanded cooperation, including the requisition of French property, the treatment of Axis prisoners of war, the utilization of French transportation networks, GI crime, and the effective American takeover of the port of Marseille. Other interactions, such as controlling black markets and caring for displaced persons, fostered both cooperation and friction. Fuller establishes how all of these issues offered the possibility of working together peacefully or in conflict, and how -- more often than not -- the results ended with positive and amicable actions.